Ocean's 8 is set to hit the big screen next summer, and following Rihanna's tease of movie stills way back in January of this year, the first official trailer has finally landed. The female-fronted Ocean's 11 reboot features an impressive cast including Sandra Bullock, Cate Blanchett, Mindy Kaling, Helena-Bonham Carter, Anne Hathaway, Sarah Paulson, Awkwafina and, of course, Rihanna. 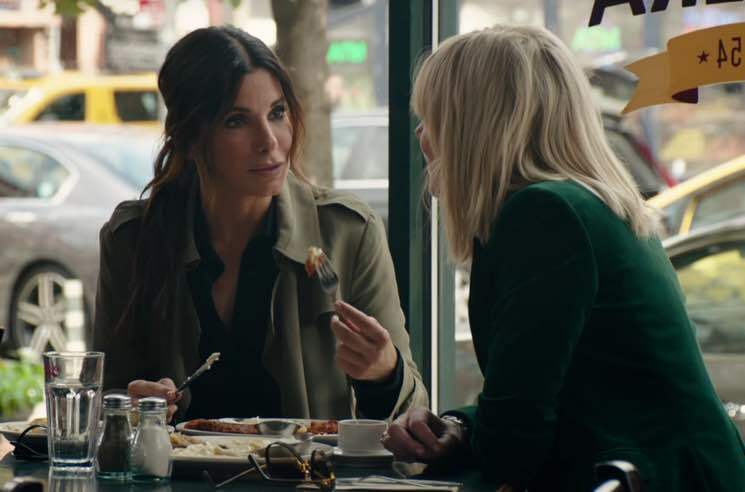 The initial trailer sees Sandra Bullock getting out of prison and immediately teaming up with Cate Blanchett to plot a massive jewel heist at the Met Gala. They assemble an unlikely team of high-class crooks to snag the $150 million jewels off the neck of Anne Hathaway's character. The Gary Ross-directed film opens in theatres June 8, 2018. Watch the trailer below.